Growth effect: Finance minister P. Chidambaram said on Monday the currency is bound to strengthen because of an expanding economy. Mumbai: The rupee, Asia’s best performing currency this year, held near the strongest since February 1998 on speculation overseas funds would buy more of the nation’s stocks to benefit from accelerating economic growth. Funds abroad have more than doubled investments in Indian equities this year, from all of 2006, as Asia’s third largest economy grew an average of 8.6% since 2004—the fastest pace since independence in 1947. That fuelled a 12.6% advance in the rupee this year— the biggest gain among Asia’s 10 most-traded currencies. “Overseas investors are holding a solid, positive view of the growth here," said Puneet Sharma, chief currency trader at state-owned Allahabad Bank in Mumbai. “That will keep the sentiment positive for the rupee in the near term." The rupee rose to 39.31 per dollar at close in Mumbai on Tuesday. The currency may rise to 39.25 in the coming days, Sharma added. 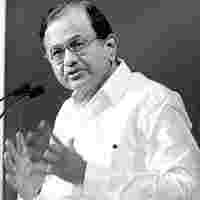 The economy will expand by almost 9% in the fiscal year ending March, finance minister P. Chidambaram said on Monday. That is the second fastest rate of growth among major economies after China. “The economy is growing at an average rate of 8.6% and the rupee is bound to strengthen," Chidambaram said. Funds based abroad bought Indian equities worth $17.2 billion (Rs67,596 crore) more than they sold this year, compared with $8 billion in the whole of 2006, according to the Securities and Exchange Board of India (Sebi). India’s benchmark share index has gained 41% this year, heading for a sixth annual advance. The rupee’s gains were curbed by speculation capital inflows will slow as investors sell riskier emerging market assets on signs the global credit market crisis is worsening. The world’s largest financial institutions have disclosed more than $30 billion of writedowns as the worst housing slump in 16 years has led to record US foreclosures and losses in the subprime market. Citigroup Inc. chairman and chief executive officer Charles Prince resigned on 4 November after $6.5 billion of writedowns and losses from the credit markets. In October, Merrill Lynch & Co. Inc. revealed a $7.9 billion write-down linked to mortgage investments. “Uncertain financial conditions have turned investors jittery," Priyanka Chakravarty, a currency strategist at ICICI Bank Ltd. in Mumbai, said in a research report on Monday. “In case the trend is sustained, emerging markets are likely to feel the heat. We do not expect the rupee to appreciate strongly over this week." The rupee may decline as low as 39.65 this week, according to Chakravarty.India’s bonds fell the most in a week on concern local banks will have less spare cash to buy securities as they keep more funds in reserve to cover deposits. The Reserve Bank of India raised the so-called cash reserve ratio for the fourth time this year to prevent surplus funds in the banking system from stoking inflation. That pushed the benchmark 10-year bond yield, which moves inversely to the price, to the highest in more than two weeks. “Funds in the system have not been consistent and the cash reserve increase will only make things difficult for investors," said S. Ananthanarayan, chief bond trader at Kotak Mahindra Bank Ltd.